It has been 6 years since I took my last drink and I seriously still have to pinch myself to make sure that this is real! I remember days that I didn’t think that I could ever have a week, a month, let alone a year, or six! There were days that I counted the hours and sometimes the minutes. Every day that I made it sober was a true miracle! And this is still true today. If you knew me then, my life was nothing like it is today. It was dark and lonely; a mere existence. I did not have a job, or a car, or anywhere to be, or have anything to do. I did not have any friends. I didn’t see my family. I just drank, every day, in hopes that one of those days I would pass out, and never wake up again. 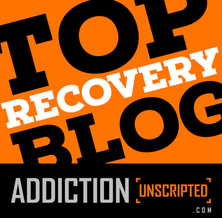 I was physically and mentally bankrupt, yet it was another 4 years before I got sober! This disease is cunning and baffling. Early morning on April 15th, 2008 I woke up face down on the kitchen floor, after an entire weekend spent in a blackout. I panicked. In my moment of clarity, the pain was finally great enough that I let it all go and just like that, the will to stay sober was finally stronger than the will to get drunk again. I was ready to move forward and find a different way in life. But I had no idea what the future vision was for me. I had no idea where this new, terrifying road was going to lead me. I only had the faith that somehow, the new scary road was going to be better than the old one! I got married, sober. I could not imagine getting married without booze! As many women dreamed of the perfect venues and the perfect dresses, I dreamed the perfect ice sculpted vodka luge, at my wedding, along with an open bar, stocked with best wines and liquors. The thought of not having a nice glass of wine (or 10) at my wedding was just inconceivable. Then I got sober, and drinking just for the wedding didn’t make any sense. Strangely enough, I didn’t miss the booze at all!! We danced the entire night and had the time of our lives! Plus, I still remember it all. I was sober, present and available. I lost my mom to cancer, sober. While my brothers and dad were by her side through chemo treatments and numerous surgeries during her ten-year battle, I was getting drunk. I was just not capable of being there for her or for anyone. Then, I got sober, and three years into recovery, my mom was approaching the end of her battle. Drinking didn’t make any sense again. As challenging as it was to be going through this, I finally understood that this was not about me, it was about my mom. And this time, I was able to be there for her and for my family. The last days were long and difficult, yet all those days are still the most precious memories that I have of her. I was sober, present and available. I believe that it is from the depths of pain that we can find the true spirit and the gifts of life! 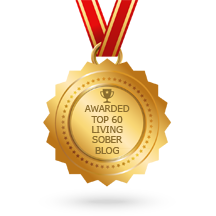 Sobriety has been and continues to be, an amazing journey – sometimes easy, sometimes not. Yet as time goes on I have learned to embrace life on life’s terms and be an active participant. However, I did not do all this on my own! There are many people who have helped me along the way. They carried me when I was weak, they loved me when I couldn’t, and they let me know that things were going to be OK. There is a special kind of love shared between us, from my 12-step network, to the amazing sober blog world, and the wonderful sobersphere on Facebook and Tweeter. You are all amazing and I am so very grateful that our paths have crossed. 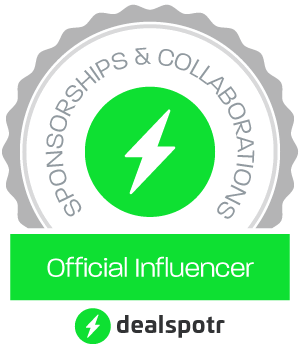 I most definitely could not have done this without all of you! 6 years is awesome and your commitment to your sobriety and to helping others is so inspirational. I am so grateful to have found your blog, your message is loud and clear…. Thank you Mishedup! And I am so grateful for your blog and your strength and growth! We all learn together. Hugs. Oh Maggie, so beautiful and powerful. Happy six years. I am so glad you’re here, sober and present, sharing your story. Hi Lilly! Thank you so much! And thank you for all you do to reach out to others with your kind words and wisdom. Hugs! Happy 2,190 days!! What an amazing story. Thank you for sharing it here. Thanks BBB! Its been quite a journey! Thank you for all your support! Hugs. Thank you Chenoa! You’re amazing too and your strength and determination is very inspiring. Thank you dear friend! Hope you’re hanging in – life is too short! Hugs. Beautifully written Maggie. Amazing journey. I am so glad to have met you! Hi, I am so glad to have met you too! Thank you! Your determination is contagious! Sending many hugs. That’s just fantastic, Maggie! congrats!!! You are certainly an inspiration to so many of us. I know that you are so devoted to carrying the message and helping so many others. You do such amazing service and aren’t afraid to tell it like it is. And you have such amazing positive energy. Love you for that. Thank you for showing us how well sobriety and recovery can look. Thanks Paul! Just giving back what was freely given to me. Helping others helps me, believe or not I still got some learning to do 🙂 thank you for being here and being an amazing support for me and others too. Hugs. What an inspirational story, Maggie! Thanks for leading the way and proving it can be done! Maggie, the happiest of anniversaries to you. You have brought a smile to my face that will stay all day long. I am so inspired by your courage and honesty, and by your service to others (myself included!). Thanks for lighting the way for me! Thank you Josie! It is truly amazing what sobriety can bring – those exact things that I could never find inside a bottle. Thank you for being a huge part of my recovery! Hugs. Congratulations on six years, Maggie. Wow, that’s a whole lot of days! Thanks for sharing your beautiful and inspiring story. Thank you! I appropriate your kind words and support. Hugs! OMG! Class of ’08 ROCKS! Awesome! I was trying to imagine your hand gesture, but I think you’re going to have to post a pic! 🙂 This is great, I think I am (secretly) a cheerleader! LOL! Thank you so much! It is really hard to believe that I have come this far, yet many times I still feel like I have lots more to learn, and that’s ok too! Hugs. Yay!!! Huge congrats to you Maggie on a boatload of days. I cried reading your post. Especially about your being sober during the loss of your mom. So proud of you. So so proud. Thanks Christy! That one is still hard… but also a part of life. So here I we go, with all the good and all the bad, and still sober! Big hugs to you Christy! Wow! Inspiring event, inspiring post, inspiring person…congratulations! Oh, I know what you mean. I get fed up too sometimes. It seems like constant work for sure! But so is regular life and that what I have to keep reminding myself. And of course that fist quote on my post, so, so true! Keep trudging forward my friend! Thank you. Hugs. Congratulations of a fantastic milestone, and more to come! Thank you! I appreciate you support! Oh, thank you! I’ve been where you are. Beginnings are hard, but it gets easier and better. Hang in! Keep in touch. Hugs!